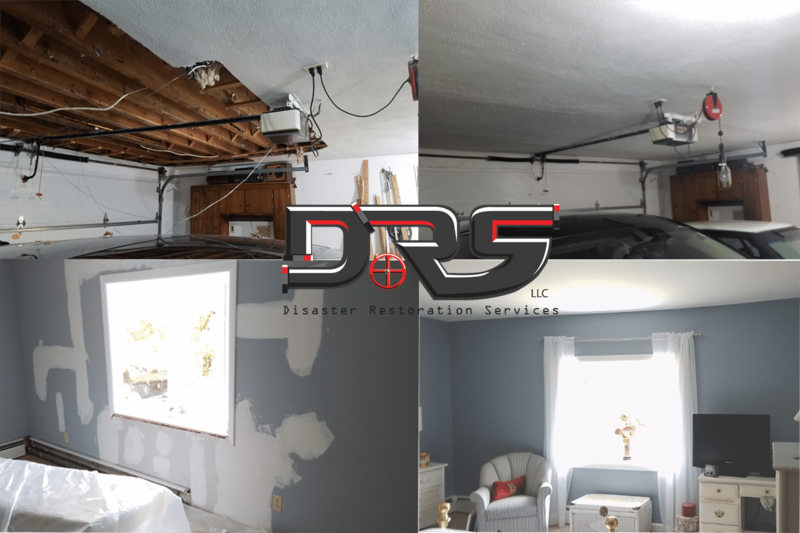 Water Damage Customer Review from Fayville, Massachusetts - Disaster Restoration Services, LLC. Warren called us in September with some ice dam issues from 2014. The Garage ceiling was affected by large amounts of water over two years ago along with a bedrooms exterior walls also showing water intrusion. DRS arrive on scene to remove the ceiling, change the insulation, HEPA sanded the framing along with treating it with Benefect. The garage door needed to be detached and reset to facilitate repairs. The bedroom walls were removed along with the insulation, thoroughly treated and repaired.